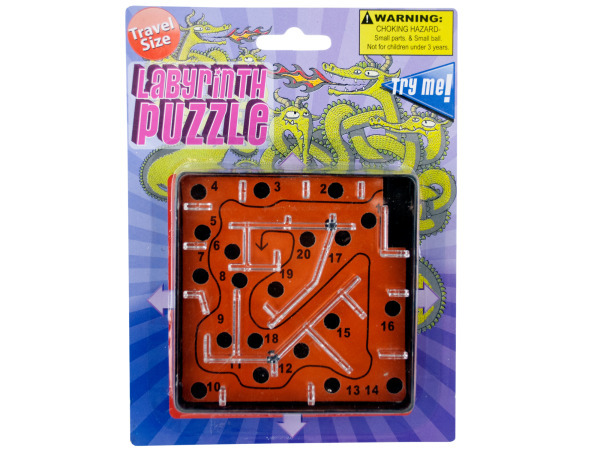 The labyrinth puzzle is the perfect companion on road trips, while in waiting rooms or simply to exercise hand/eye coordination. 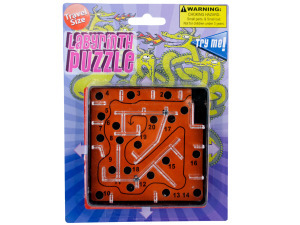 Maneuver the steel ball through the maze without falling into any of the holes. Comes packaged on a hanging blister card. Not recommended for children under 3.